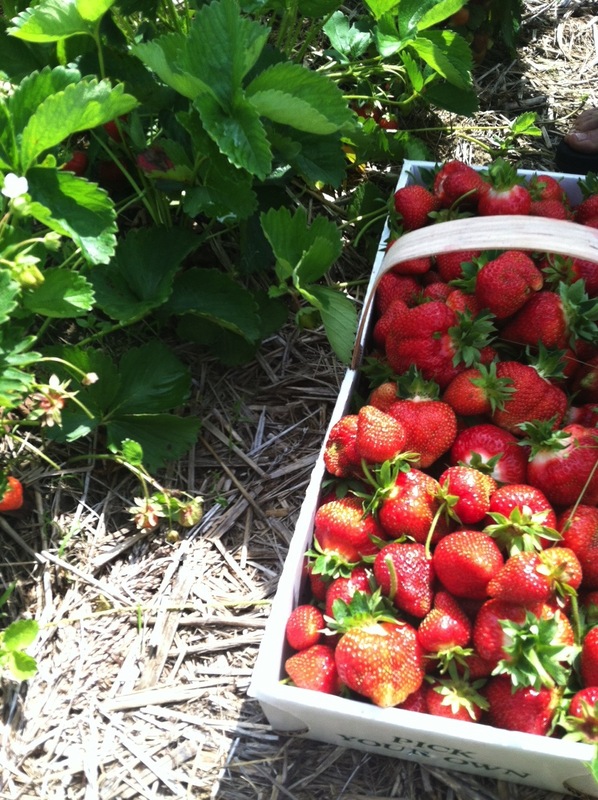 What could be better than fresh, local and juicy berries in the summertime? 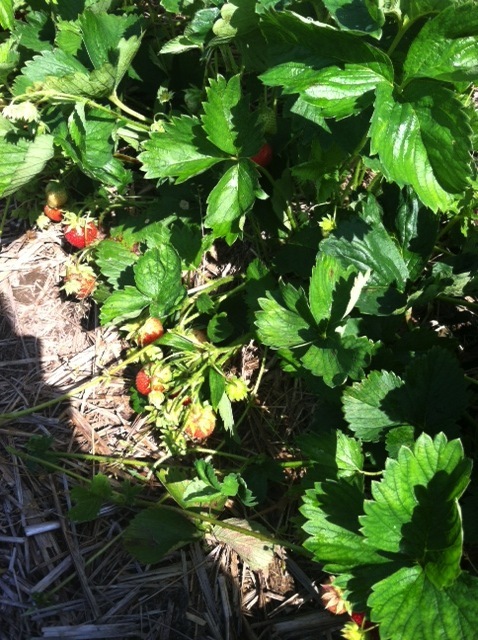 Handpicking them yourself of course! 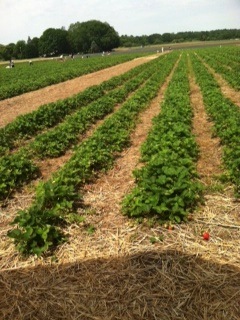 My aunt and I went strawberry picking at a local farm. It was so much fun! 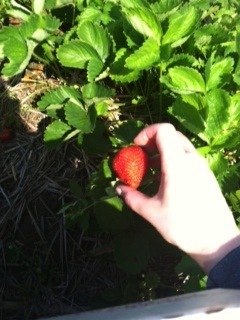 There was a real sense of community and I love being able to support local farmers. We were also surrounded by adorable toddlers who were shoveling strawberries into their mouths which resulted in red juice all over their faces and hands! This was so cute and I loved seeing younger kids getting involved with food from an early age and really getting to understand where good food comes from. We ended up picking 26 pounds of strawberries! 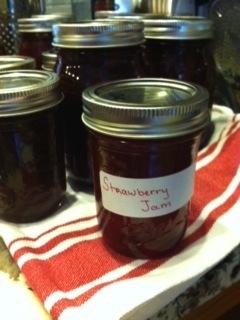 Of course we gave some away fresh to friends and family, but we also made our own fresh strawberry jam together. 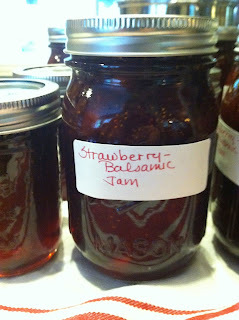 We made three variations- classic strawberry jam, strawberry-balsamic jam, and strawberry-basil jam. 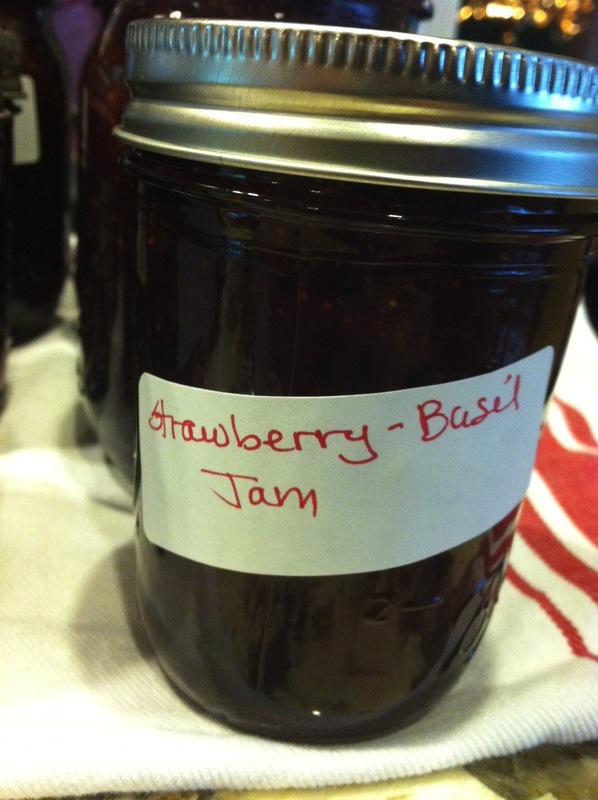 Jam is such a fun way to preserve fresh produce. You can really make a jam out of almost anything! 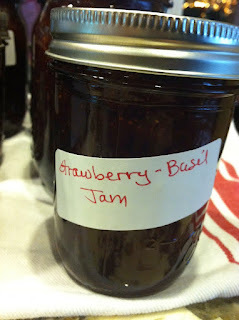 Jam also makes a great hostess gift if you are going to a party!